Feb 13, 2019 / WORDS Lavender Baj / Cover up. Music is a wonderful thing, and so is artists covering each other’s songs. Whether it’s a Triple J Like a Version, a live performance or a professionally recorded and produced adaptation of a classic, we love a good cover. We’re counting down our favourite covers of all time, are they better than the original? Maybe. Are they extraordinary in their own right? Absolutely. Bohemian Rhapsody is quite possibly one of the best songs of all time, so to cover it, especially live, is pretty impressive to say the least. But not only did Panic! At The Disco cover it, they did an exceptional job of it. Brendon Urie is easily one of the most talented vocalists of the moment, and we are actually pretty surprised he wasn’t taken on tour with Queen (instead of Adam Lambert) after this impressive performance. He’s not Freddie Mercury, but he sure does a pretty great cover. This cover went viral on tumblr a few years ago, and for good reason. This cover is actually how many people found the duo, and aren’t we glad we did. This ukulele cover of Elvis Presley’s classic love song is another excellent version of a song by a noteworthy musician that many artists wouldn’t dare to attempt. This cover reintroduced Can’t Help Falling In Love to the internet generation, who likely didn’t even know this masterpiece existed before it was 21P-ified. Another memorable cover by twenty one pilots is their impressive cover of a Christina Perri’s Jar of Hearts, which is perfect if you’re a fan of the duo’s usual techno sound over the acoustic cover mentioned previously. Both excellent covers from an excellent band. This is actually a cover of a cover, and it’s a cover of a cover that has been covered a lot! This song obviously had to make the cut because it’s one of the most famous covers of all time, but it was really difficult to narrow down our favourite cover (excluding the legendary Nat Imbruglia herself). Other covers worth listing include Alex Lahey’s Like a Version and Neck Deep’s version, but neither of these are quite as impressive as Hands Like Houses’ cover. This is an old one but it’s pure gold. The emo gods have blessed us with emo fringe and eyeliner-wearing Pete Wentz performing Mr freaking Brightside. Granted, there are only a few live performances of this, and Patrick Stump’s vocals are nowhere near the level they are today, but this cover is pretty outstanding nonetheless. It was hard to pick just one because they’ve done some pretty impressive covers from Michael Jackson to Whitney Houston, but it’s hard to deny the pure gold that is this cover. If you’ve ever been lucky enough to catch Green Day live, you’ll know they play a little song called King For A Day, which involves a pretty theatrical performance of the Isley Brothers classic song, Shout. This cover has become such a hit that it’s a staple of almost any Green Day show, and is a moment to remember for all fans. 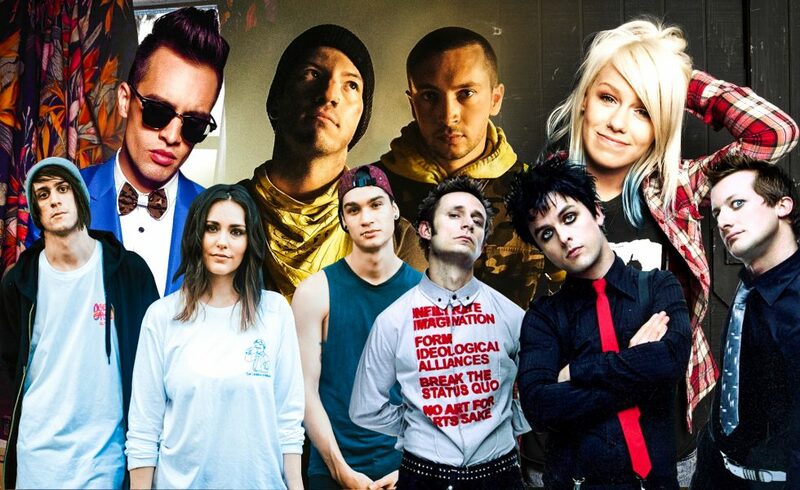 This pop goes punk classic features one of Australia’s greatest exports, Tonight Alive. It wouldn’t be a greatest covers list without a couple of punk goes pop tracks, would it? The punk rendition of this popular track is enhanced with Jenna McDougall’s talented vocals to create a truly epic cover. Easily one of the best punk goes pop of all time. When it comes to acoustic covers, This Wild Life’s cover of Sleepwalking easily takes the cake. This cover is a calming break from the original classic, so realistically you could just alternate between the two for the rest of eternity. This Wild Life gained a lot of traction from this cover, so it clearly paid off for the band as much as it blessed our ears. For an acoustic cover, this is as good as it gets. 10/10 certified acoustic banger. This band is sensational, this song is sensational, so what more could we expect from an amalgamation of the two? While it’s not quite the version that Toto released back in 1981, Relient K sure do this song justice. It’s not surprising that the band that brought us pure art like Be My Escape would bless us with such an incredible cover. It’s pretty unsurprising that Stand Atlantic made it onto this list, considering they are national freaking treasures and should be projected onto the Opera House and we should all legally be required to have a photo of them in our house. This cover of Modern Baseball’s Your Graduation is a clear example of why this band has blown up in the last 12 months. These guys have loads of sheer talent, drive and they’re just unique, which is a really refreshing thing to see coming out of the Australian music scene. Check out this cover, check out StAt, fall in love with them and tell your mum about them. 10/10 cover, 11/10 band. Like the aforementioned Stand Atlantic cover, Movements’ cover of REM’s Losing My Religion was recorded as part of the Songs That Saved My Life initiative. This song is honestly almost as good as the Michael Stipe version from back in 1991. Another great cover of a song that otherwise wouldn’t get much media attention and love, from a band that is hot as hell right now.